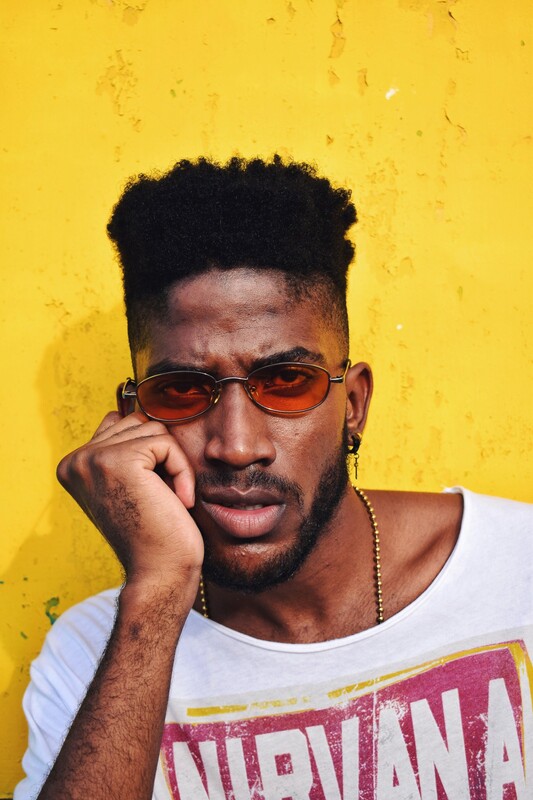 L’shun Emmanuel represents a new wave of artists from the Caribbean. The 23-year-old from the twin islands of Trinidad and Tobago, more widely known as Jimmy October, blends the upbeat and narrative-driven genres native to his country with influential ones from abroad to create a signatured, textured, and cinematic sound that he calls New Calypso. “I try to mix a little bit of calypso, a little bit of soca, a little bit of R&B, and a little bit of hip-hop and that’s what tells the story for me. Those four genres, in particular, together,” he says over the phone. For Jimmy, everything he creates is purposeful. The cover of his 2017 debut EP, Vacation was shot at Maracas Beach, an infamously stunning Trinidadian landmark on the north coast. “I want to be able to give you more than one experience of what it feels like being home in our country,” he says, his voice enhanced with pride. 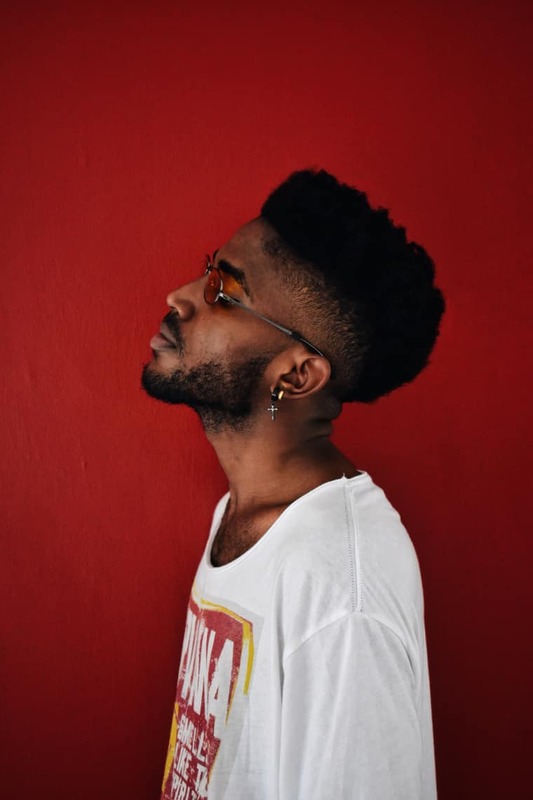 Jimmy’s music is the meeting ground of nods to his Caribbean upbringing — with smooth-like-rum, mellow, records like “Calypso Girl”, featuring Nico Banks and Tano — while trying to maintain the essence of R&B fueled by love and desire. He cites Michael Jackson, PartyNextDoor, and Drake as artists who have been influential in helping him craft his style while Bob Marley, Machel Montano, Ye, and JAY-Z are ones who have reminded him to always stay innovative. Jimmy’s “Remember the Days” is a reflection of all these efforts. The artist’s rich and enchantingly arresting vocals, that liken the sonic palette of R&B’s golden era during the 90s, come alive on the record’s melody. The song is then punctuated by horns — a bold move, but one that still retains a uniquely-Caribbean sound. A personal mission of the crooner to share a different side of Trinidad with the world through his art. More specifically, he has aspirations to shift how people understand what kind of music artists from the Caribbean can make. Most people are familiar with the hypnotic melodies of calypso and the buoyant, cheerful stylings of soca but there’s more that sweet T and T has to offer. When he started, Jimmy's push for blending genres was met with resistance from soca purists, but he remained persistent in creating music that was more representative of who he was. Jimmy’s New Calypso wasn’t created with the intention to recreate or erase the already existing genre, but to illustrate his respect for calypso, honour his own creativity, and to show others that these genres aren’t ones that you can step into inexperienced. “I think what people don’t understand is that soca and calypso is something that you have to understand to make,” he shares matter-of-factly. “It’s based on a particular type of energy and a particular type of feel and in order for me to be able to make that, it means that I need to study and understand [it].” Jimmy dedicated a little over a month between two home studios on the West and South coast of Trinidad, listening to record after record of soca. This inundation with the genre’s properties helped him channel and recapture its energy for the project but more importantly, embody the spirit of his country. His dedication and execution shone through on 2017's “Vacation”, which was subsequently noticed by a reggae icon. Jamaican artist Protoje co-founded a Jamaica-based, pop-up creative arts platform, New Wave, and for their first Trinidad installation, had Jimmy and fellow Trinidadian artist, Kalpee, as openers. That night, the St. Clair neighbourhood was peak Caribbean music unity, with the feel good music of reggae, soca and, calypso blanketing its patrons. Ultimately, Jimmy is trying to find harmony. 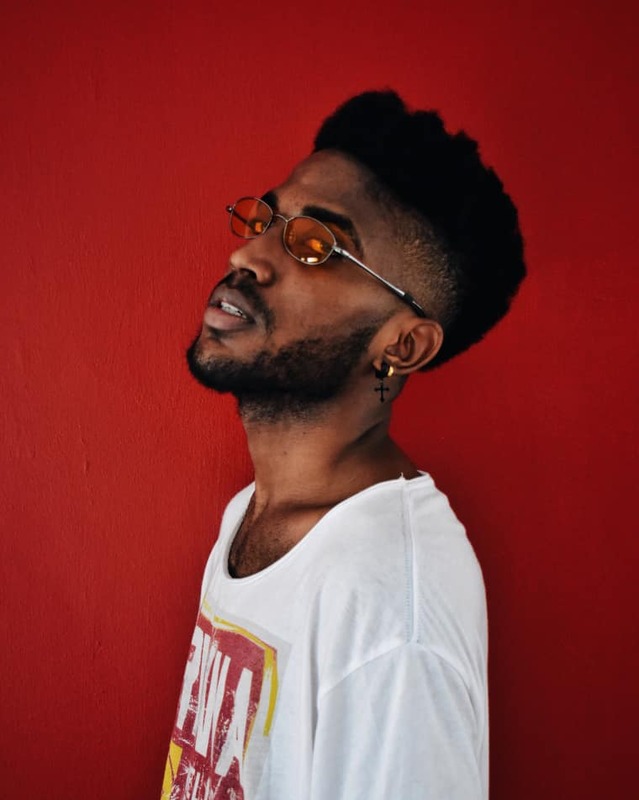 “I want to create music that feels like home and feels like Trinidad [but] it’s impossible to find my balance without R&B and hip-hop because I’m so in love with those things as well,” he says. While penning the lyrics for his most recent single, “Remember the Days” he made the decision to add the lines, You remind me of soca and Rum no chaser/ That’s what she wants. “My producer was like, ‘You probably shouldn’t put that there. I think you’re going too local’,” he says recounting their exchange. “I was like, ‘Bro, trust me. This is my point.’ I can say ‘rum’ in a song if I feel like. Rum is a universal thing. It does not have to be a specific time for me to mention culture.” It’s this kind of unapologetically Caribbean-first attitude that Jimmy possesses, coupled with his talent, that allows him to create the soulful, genre-bending music that he has and looks forward to continue making.